Are you in search of an awesome entree salad with a little something for everyone? Well, look no further! 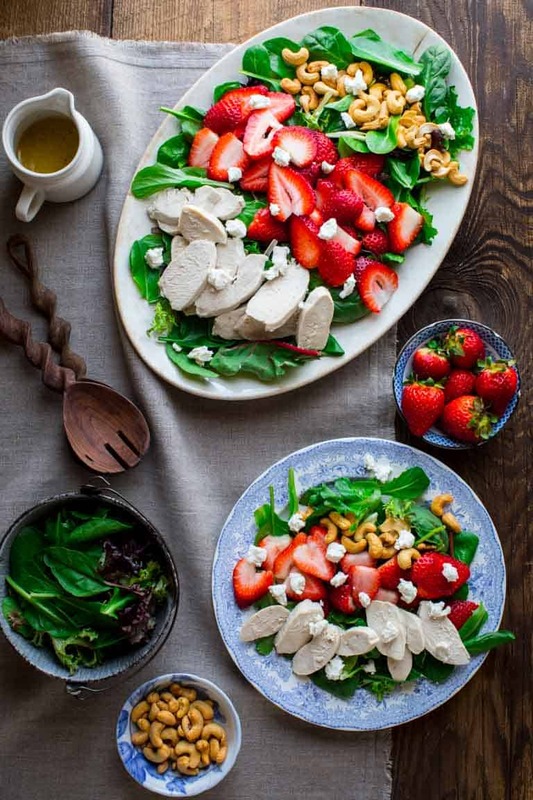 This Green Salad with Chicken, Strawberries and Goat Cheese is IT. Bonus that it is low carb and gluten free, too! Great for lunch, dinner or even a festive brunch idea for Mother’s Day. I originally shared this recipe on June 19, 2010. I have updated the images and some of the text today. I love May for many reasons. We’re finally coming out of our deep freeze here in Vermont. I actually see a time in the not so distant future where I might be able to take off my boots and pull out my favorite pair of sandals. AND… May is Salad Month! To celebrate the beginning of Salad Month I decided to feature this simple, but absolutely delicious salad. I love to serve my family salad as a meal, but in order to pull it off it has to be crazy good and this one fits the bill. I’m getting some really gorgeous baby greens in my CSA right now… score! My family loves chicken, so that was a no-brainer. 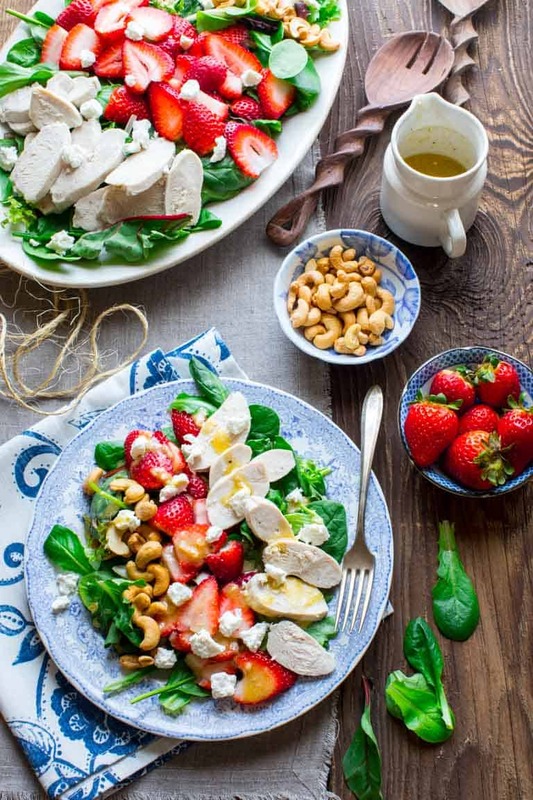 Then I added a little goat cheese for a tangy contrast in both color and texture, crunchy cashews because who doesn’t love cashews and strawberries because I knew my girls would be thrilled. And they provide 160 percent of the recommended daily value of vitamin C, which is great! Oops my culinerd is showing. Then I topped all that loveliness with a super simple vinaigrette. I added a little minced shallot to amp up the flavor a bit and used honey mustard instead of the traditional dijon so the subtle sweetness would play well with the strawberries. Add protein to make it filling and yummy. 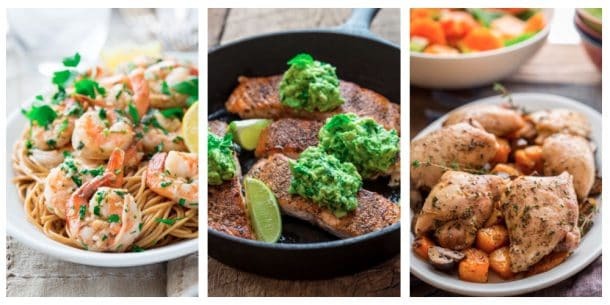 Leftover steak, chicken, salmon or tofu are perfect additions. Throw in some nuts for crunch. You can go crazy here… I love pecans, pistachios, cashews, walnuts to name just a few. Get a little fruity. 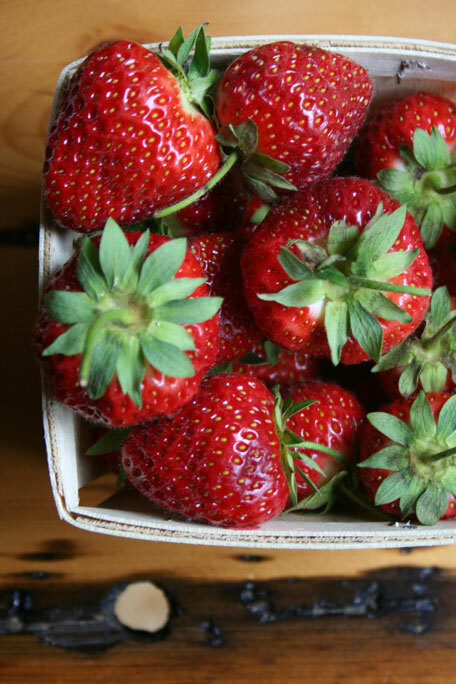 Fruit adds such an awesome pop of sweetness like blueberries, clementines, strawberries, pears and apples. Don’t forget the cheese please. Cheese adds a creaminess and depth of flavor that can’t be beat. Try sharp cheddar, blue cheese, goat cheese and feta. Make your own dressing. This one only has 4 ingredients! But I have a bajillion dressing recipes here so feel free to choose another one if you prefer. This lemon salad dressing would be great with this Strawberry, Goat Cheese and Chicken Salad. Or if you like a creamy dressing, this light Creamy Italian Dressing is lovely. Or come up with your own using these tips for a great dressing. 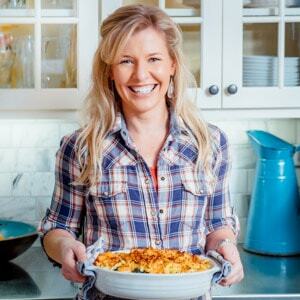 Don’t miss checking out a few of my other favorite entree salad recipes…. 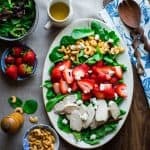 This Green Salad with Chicken, Strawberries and Goat Cheese is an awesome entree salad for your next brunch, lunch or dinner. Bonus that it is also low carb and gluten free! Place chicken in a medium skillet and cover with water. Add 1/4 teaspoon salt and bring to a boil. Reduce heat to medium-low to maintain simmer and cook until chicken is cooked through, 12 to 15 minutes. Remove chicken from the poaching liquid and cool completely before slicing. 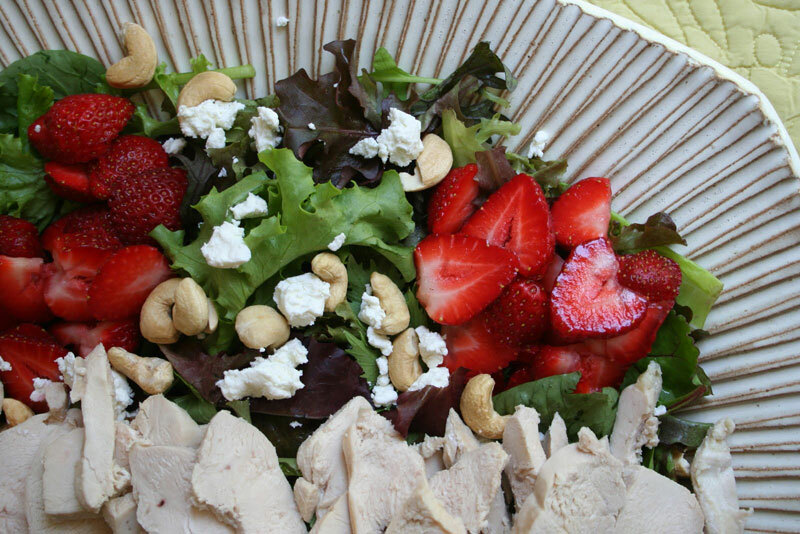 Meanwhile, arrange greens, strawberries, goat cheese and cashews on a large platter. Whisk vinegar, shallot, honey mustard and the remaining 1/4 teaspoon salt in a small bowl. Whisk in oil and season with pepper. Top salad with chicken and drizzle with dressing. Thank you Natalie! This is a great time of year to have a big salad for dinner! I love adding strawberries to salads. They add so much flavour with little extra calories. I do too! Glad you’re on team fruit in salad, as I know some folks hate it. I personally love the bright acidity and sweetness. It is such a great contrast to earthy goat cheese. 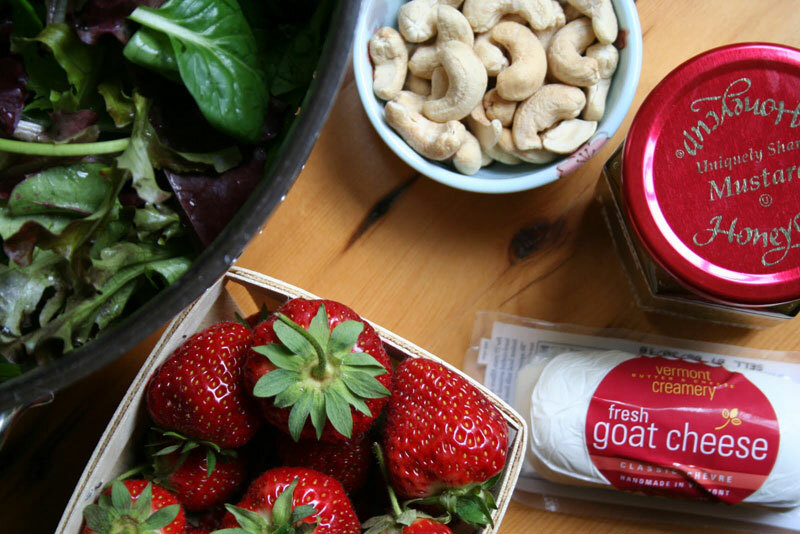 Strawberries and goat cheese sound like an interesting pairing! I will have to try this out for myself. It is so good together. I have been wanting to try the combo in other ways too! Stay tuned for more. I’m loving salads right now and this look so good! It’s such a nice change after winter to be able to eat lighter food like this. I totally agree that salads are great in May. I’m planning on salad for dinner tonight, myself! 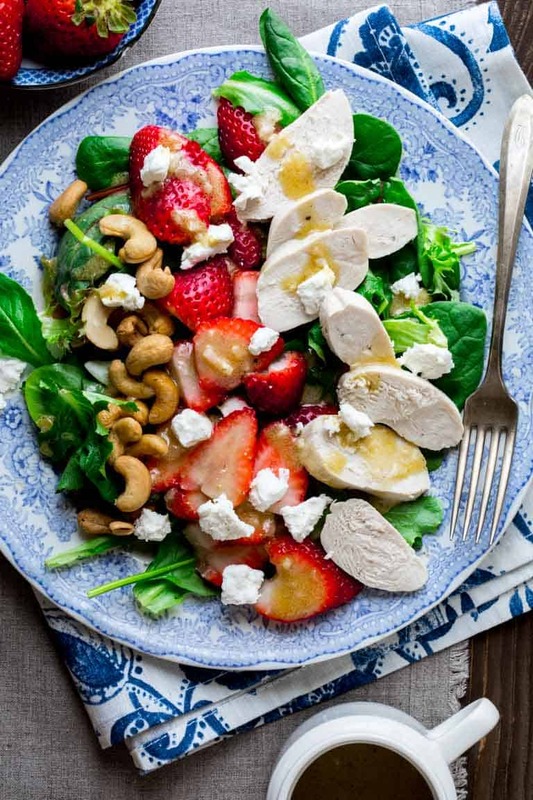 I love the combo of strawberries and goat cheese! Such a healthy bright meal. Hi Patrick. Thanks so much! I love the combo as well. I have been wanting to try it with some other applications as well.